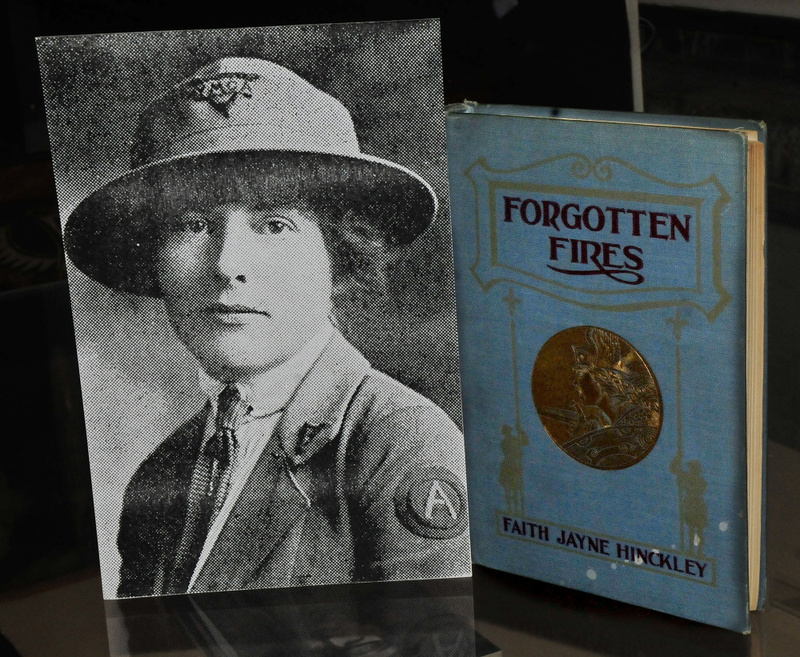 The daughter of the Good Will-Hinckley campus founder, Faith Hinckley volunteered to serve amid deadly influenza and 'shell shocked' troops during the Great War 100 years ago. Faith Hinckley held vigil over the wounded soldier who asked only that she hold his hand tightly until the end. They were in a pup tent within a military camp housing 20,000 soldiers near St. Nazaire, France. It was the summer of 1918. 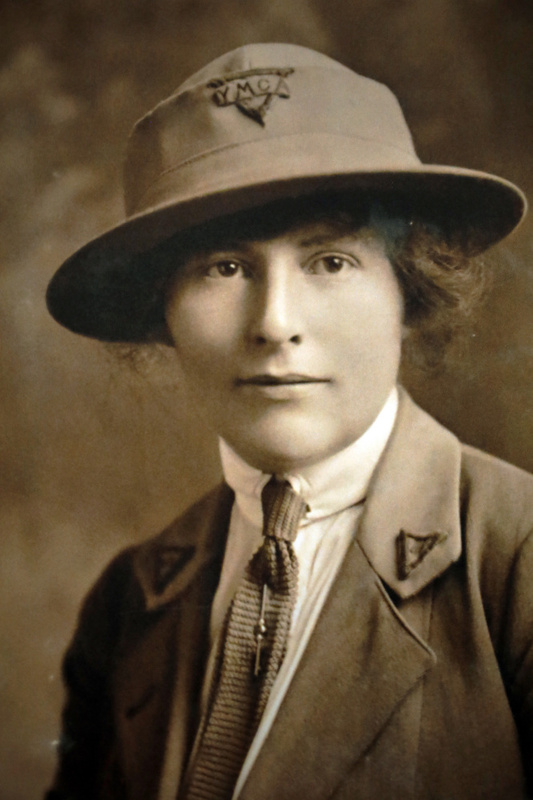 Hinckley, serving as an international volunteer during World War I, told the soldier she would write a letter home for him. The soldier told her he had no one at home, not a single relative who would remember him. She told the dying soldier, whom she knew only as Bill, that he could dictate a letter to her own mother, Harriet, back home in Fairfield, Maine, and that Harriet could be his “borrowed mother.” He dictated two pages of his thoughts and wishes for prayers, picturing his own home as he took his final breath. That’s according to Hinckley’s granddaughter, P. Faith Peters, of Portland. In an interview, Peters recounted the story and others from the time she spent with her grandmother in the twilight of Hinckey’s life. 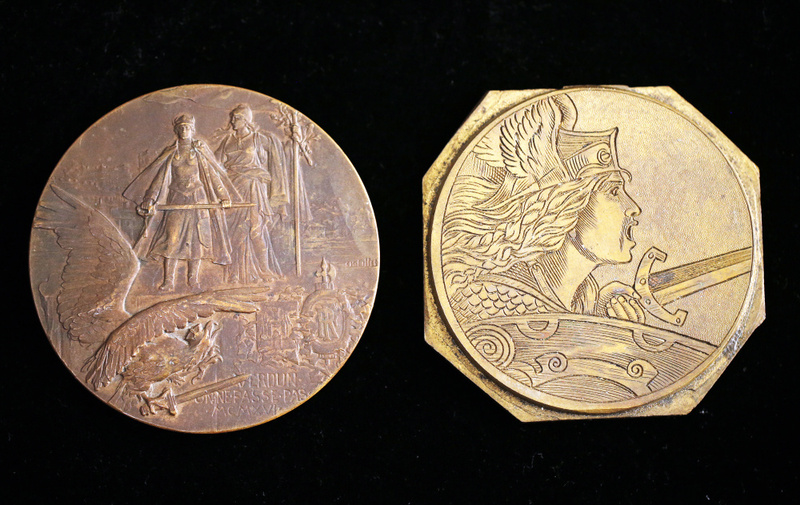 With this week marking the 100-year anniversary of the United States’ involvement in the war, Faith Hinckley’s story and her artifacts will soon be on public display. Peters was fascinated by the bravery and dedication of the International “Y” Girls, of which Hinckley was one for nine months in France. 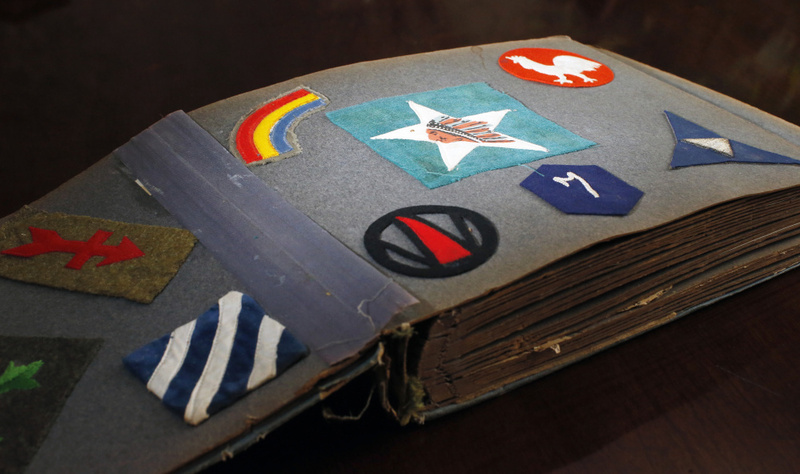 She collected stories, diaries, photographs and mementos from her grandmother, which will be among the featured exhibits marking the 100th anniversary of America’s involvement in World War I on display beginning Friday, July 14, at the L.C. Bates Museum at Good Will-Hinckley in Fairfield. The exhibit, curated by Lisa White, of Clinton, will be on display until the spring of next year, museum director Deborah Staber said. On April 6, 1917, two days after the U.S. Senate voted 82-6 to declare war on Germany, the U.S. House of Representatives followed suit with a 373-50 vote of its own to enter the war. With that, the United States formally entered World War I — the Great War, The War to End All Wars — one hundred years ago this week. Seven months later, 26-year-old Faith Jayne Hinckley, of Fairfield, sailed to Europe as a volunteer with the American Expeditionary Forces. She would be among America’s first women serving on the national stage and among the first feminists. 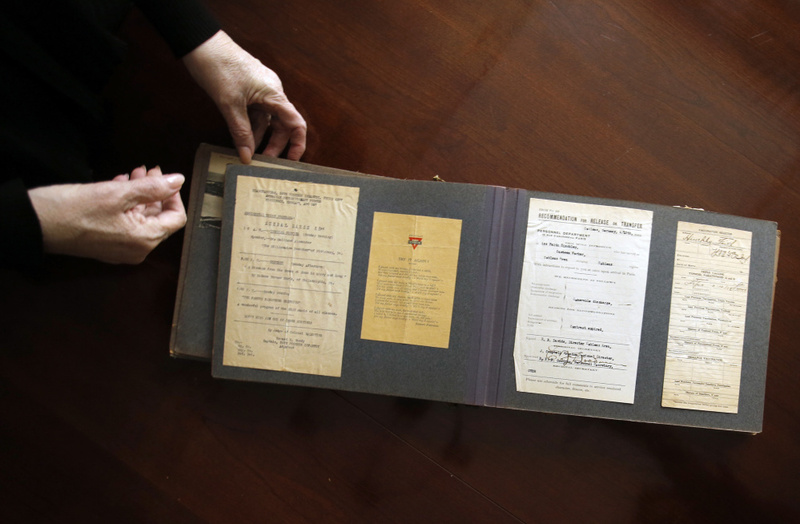 World War I claimed an estimated 16 million lives. The influenza epidemic that swept the battlefields in 1918 took more lives than the war itself. 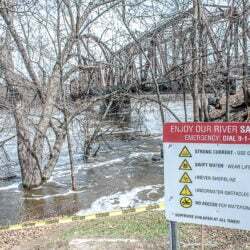 It wiped out an estimated 50 million people worldwide — one-fifth of the world’s population. Behind the battle lines in France and Germany, beyond the muddy trenches of World War I, American soldiers lay dying, not so much from the bullets and bayonets of battle, but from the ravages of the disease they called Spanish influenza. There to assist them, writing letters home, in makeshift hospitals and infirmary tents were American women, volunteers called International “Y” Girls, commissioned through the Young Men’s Christian Association, the YMCA. Among them was Faith Hinckley, daughter of George Walter Hinckley, a minister who founded the storied Good Will-Hinckley School for orphaned and troubled boys in 1889 on U.S. Route 201 in Fairfield. The campus now houses a charter school, the Maine Academy of Natural Sciences, and other programs. Faith Hinckley’s father’s work with disadvantaged boys set the tone for her life growing up in a socially conscious environment and prompting the young woman to join the International “Y” Girls as a volunteer, Peters said. She was inspired by the bravery and courage of the boys who would soon become men in a foreign war with no promise of coming home again, Peters said. 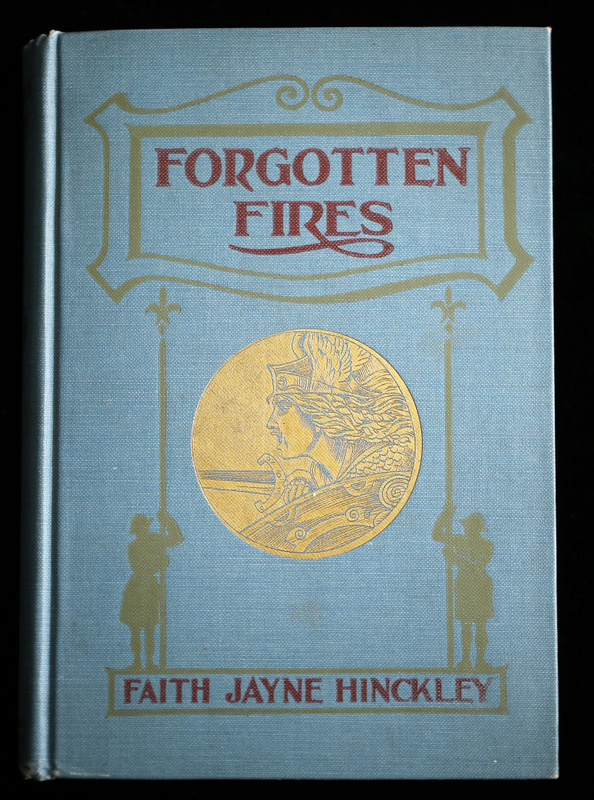 Faith Hinckley had studied the German language in 10th and 11th grade and was prepared for the duties of the canteen girls who initially were sent “over there” to bring cheer and a picture of home to the battle-weary boys, but she and her colleagues were soon pressed into the task of providing company and solace to the men as influenza — La Grippe — consumed them. “I was fortunate that she lived long enough to tell me of her experiences,” Peters said. 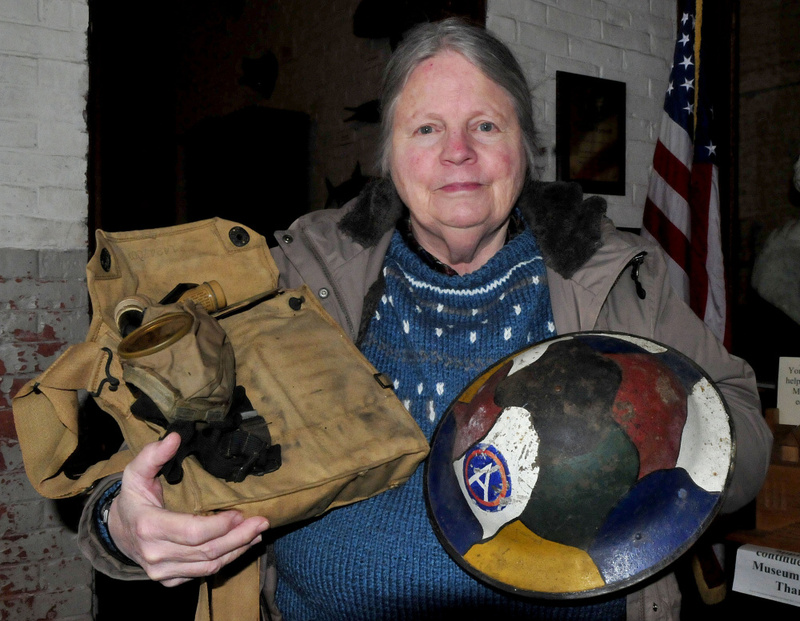 Women without medical training, the “Y” Girls served in the canteens and social centers that were set up for U.S. soldiers behind the front lines in safe environments, Peters said. The canteens were sponsored and built by organizations hoping to provide wholesome recreation for the men. The women made the circuit of these recreation huts, performing popular songs, dancing with soldiers, and doing theatrical pieces. In addition, organizations recruited all-American girls to serve food, play board games, maintain libraries, write letters and otherwise distract the soldiers in “good” ways. Nearly six thousand women served in the canteens. Most of the American canteen workers served late in the war in 1918 or during the armistice period when large numbers of soldiers awaited demobilization. The outbreak of the influenza changed all that, Peters said. The virus spread fast through the cramped military barracks and battle trenches, compounded by the lack of available medicine to combat the disease. Surprisingly, Faith Hinckley never contracted the deadly disease that ultimately circled the globe and came home to the United States with soldiers returning from the war. Another example of her grandmother’s dedication, Peters said, was her advocacy for soldiers suffering from what was then called “shell shock,” but is known today as post-traumatic stress disorder, or PTSD. Peters said her grandmother challenged military officials on the effects of the disorder, commonly seen as needing to “toughen up” and be brave in the face of war. 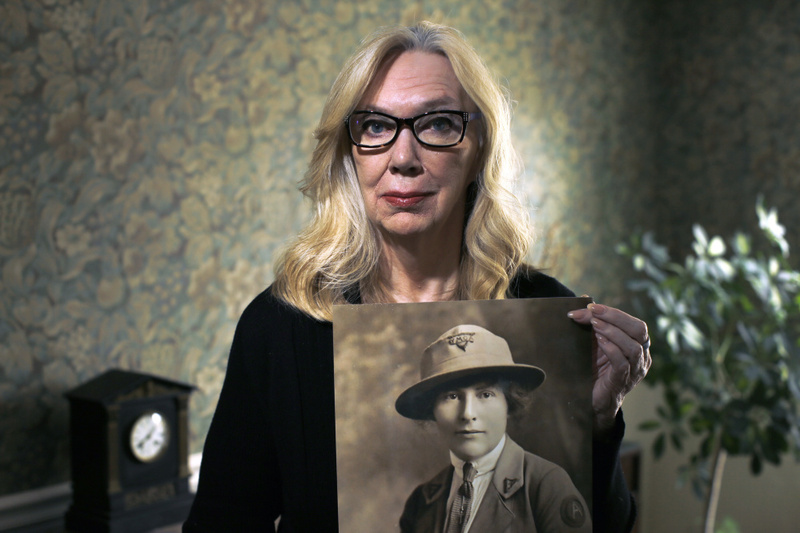 Faith Hinckley told her granddaughter the story of one soldier who was so “shell shocked” that when he was released from the infirmary to return to the front, he was shaking so violently that he would fall to the ground. Faith Hinckley told the military doctors that if the man was sent back into battle, she would be compelled to accompany him “to hold him erect so he could carry his weapon,” Peters said. Military officials balked at the idea — and the bad press that was sure to follow — and sent him back to the hospital. 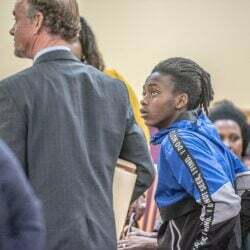 Two weeks later he was on board a transport ship headed for home. 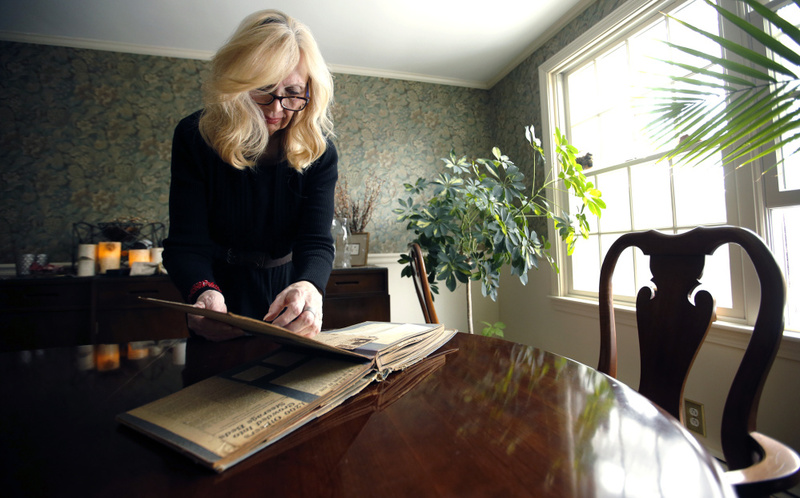 In her grandmother’s book, “Forgotten Fires,” published five years after she returned home to Fairfield, she cites her journals describing the living conditions, gas masks, pain and suffering and writing letters home for soldiers who were too infirm to write. 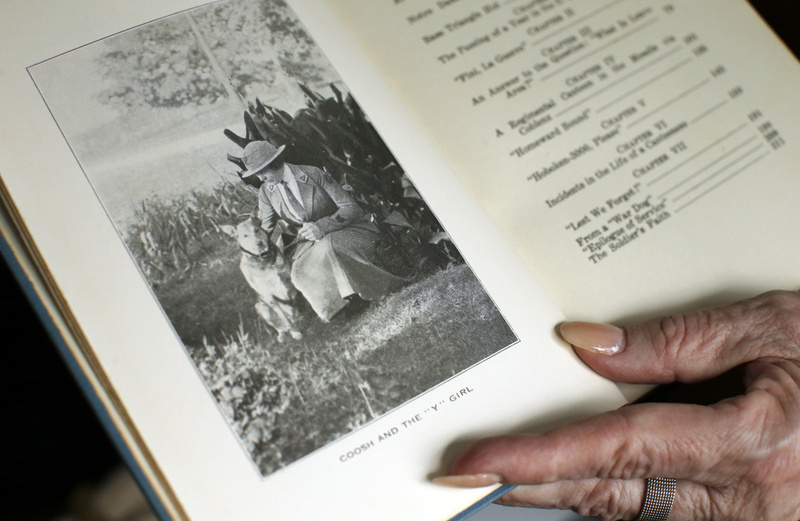 Peters said her grandmother “traveled with her fingers” taking notes and writing in her diaries during her journey through France and into occupied Germany. 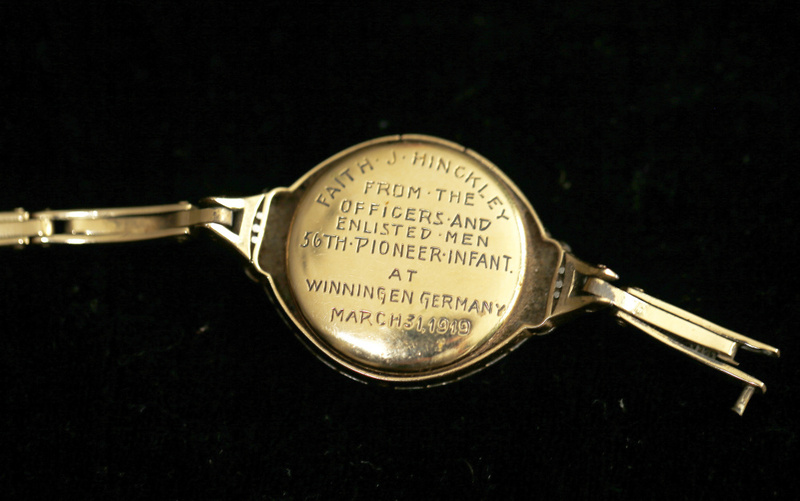 Faith Hinckley sailed back to the United States in 1919, wearing her timeless conversation piece, “the cootie bracelet,” which was meant to prevent the rampant spread of lice — cooties — among the troops and accompanying hospital and social service personnel during the war. “I smile every time I clasp it around my wrist knowing that it will assuredly invite a story of WWI and a fascinating ‘Y’ Girl named Faith,” Peters said. 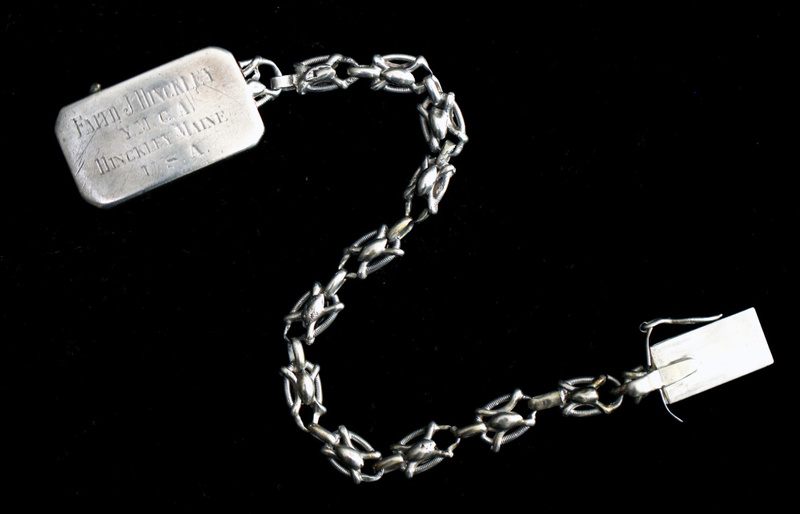 As she set off for home, Faith Hinckley was presented with a memento, a solid platinum watch with 77 diamonds, which was a goodbye gift from the troops with whom she had served. Faith Hinckley, who had traveled with her family from their home in Oakland by horse-drawn sleigh to Fairfield when she was 3 years old to open Good Will-Hinckley on land previously owned by the family of U.S. Sen. Margaret Chase Smith, returned home to become the head mistress at the girls’ school at Good Will-Hinckley. She married Lester Powley and together they had one child, a daughter, Jayne — Peters’ mother. Faith Hinckley Powley died the day after Christmas in 1987. She was 96. The returning “Y” Girls and other women who had served in WWI had an impact on America as it looked toward giving women the right to vote with the passage of the 19th Amendment in 1920. Peters said they must be considered among the nation’s first feminists, setting the stage for generations of women to come. They were quiet heroes. Peters said she remembers being 15 and asking her grandmother why she stayed at the front amid dying men and the deadly influenza virus for so long. She told her that all the letters she had written for those dying men would have been worth it had she herself died.